Sheron Jayasundara and Chanchala Gunewardena, two exceptionally talented women leaders at NGage Strategic Alliance, formerly known as Bates Strategic Alliance, Sri Lanka’s pioneering integrated marketing communications agency were recognised recently for their outstanding professional accomplishments and commitment, and for driving innovation. 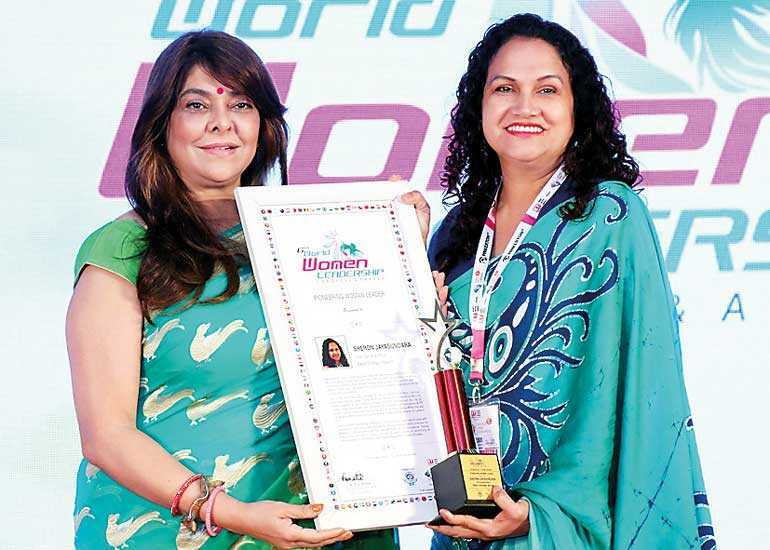 Sheron as Chief Operating Officer of NGage Strategic Alliance in her 22nd year at the agency, received the prestigious ‘Pioneering Woman Leader’ Award at the sixth World Woman Leadership Congress, held in Mumbai, for her role as a pioneering individual, professional achiever, contributor of value to the industry, for upholding gender equality and her pursuit of thought leadership. Demonstrating leadership, professional excellence, and commitment to motivate others, Sheron has worked across diverse sectors preceding her current position as COO. In a career spanning nearly 28 years, she has earned repeated client kudos in building a strong team which delivers award-winning work for prestigious brands. As an inspiring role model who achieves richness in both work and life, Sheron was feted amidst influential women professionals across Asia from both the public and private sectors, working to motivate the next generation of women. 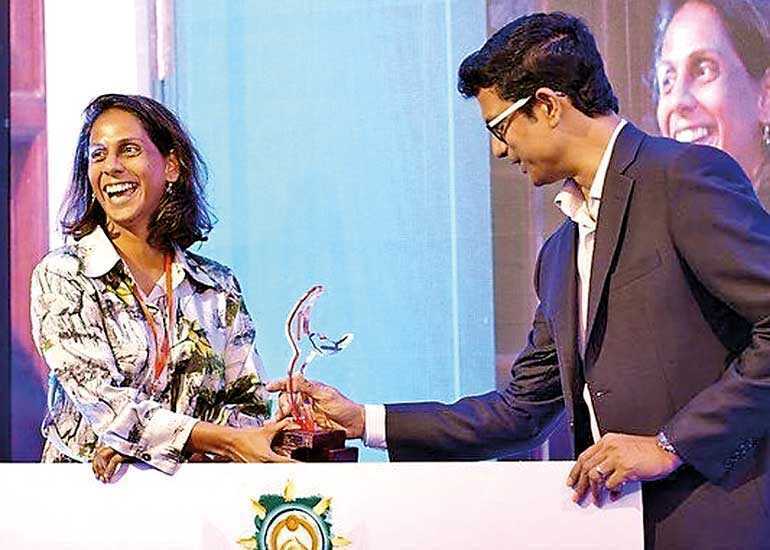 Recognised as an incredibly smart and successful woman, Chanchala Gunewardena won Venture Engine’s prestigious Impact Entrepreneurship Award for 2018/2019, awarded by the Indian Venture Capital firm Aavishkaar. Venture Engine has become one of the most respected and successful entrepreneurship programs in Sri Lanka, and was founded by BOV Capital and the Indian Angel Network, and is organised by the Lankan Angel Network. As a social entrepreneur brimming with enthusiasm and talent, Chanchala’s ‘KimBula Kithul’, a food start-up producing gourmet kithul treacle without added sugar, works directly with local suppliers to offer a pure, high quality version of this much-loved traditional sweetener. Chanchala crafted the brand and its aligned story while working at NGage. Helping create the iconic KimBula design was her colleague Gimhani Galagedara, while receiving and encouragement from the entire NGage family. Within a short span of just one year, NGage’s Kithul Kella and her social enterprise has proudly been able to support the rural economy and traditional kithul-tapping families in Matara district while showcasing their stories. Acknowledged for its culture where women leaders thrive and equality and diversity is celebrated, the NGage Strategic Alliance family is proud to highlight innovative, initiative-taking female leaders who both walk the walk and talk the talk. The company has proudly evolved to become a gender-balanced agency with many women in leadership positions as independents who take initiative and have ownership for decisions. In addition to Sheron and Chanchala, NGage’s Heads of HR (Nishi de Alwis), Finance (Chamika Colonne), PR (Druvinka Dias), Digital (Ravini Jinadasa) and Research and Strategy (Alefiya Ameerali) are recognised as trusted advisors and mentors for the entire company.